The I-Team got new surveillance video that shows Hillsborough County Firefighter Clint Walker being tased by St. Pete Police. Officers charged Walker with battery on a law enforcement officer at the Del Mar bar in St. Pete. Police say Walker was being combative when they questioned him about about an incident where a man knocked out another man. A witness pointed the finger at Walker. But surveillance video shows Walker didn't do it. It was an unidentified man captured on video surveillance. Newly obtained bar video shows the officer questioning Walker then they tase him. Walker tells us they tased him 4 times on the ground while telling him to "stop resisting". Video shows the officer who tased Walker, Ruben DeJesus, later kicks him while he's on the ground. Walker says he was kicked in the groin. The I-Team previously showed you after it first happened, 2 cell phone video clips from witnesses. Walker says officers told him to put his hands behind his back. You see his hands are out, then go behind his back. You then see lasers pointing at his neck and he turns, then he's tased. "He's literally standing there with his hands behind his back and then they tasered him to the ground and then continued to taser him." says Jerry "T" Theophilopoulos, Walkers attorney. He told the I-Team police profiled his client because he's a member of The Outlaws, a group federal law enforcement calls a criminal motorcycle gang. Walker was wearing a shirt with The Outlaws logo and name. "They assume he did something wrong because of the patch he wears on his back." says Jerry T.
Another Hillsborough firefighter Robert Ramirez was also arrested and charged with obstruction of law enforcement. Officers say he was "continuously aggressively approaching" them. The new video shows, as Ramirez was being handcuffed, DeJesus grabbed him by his face. 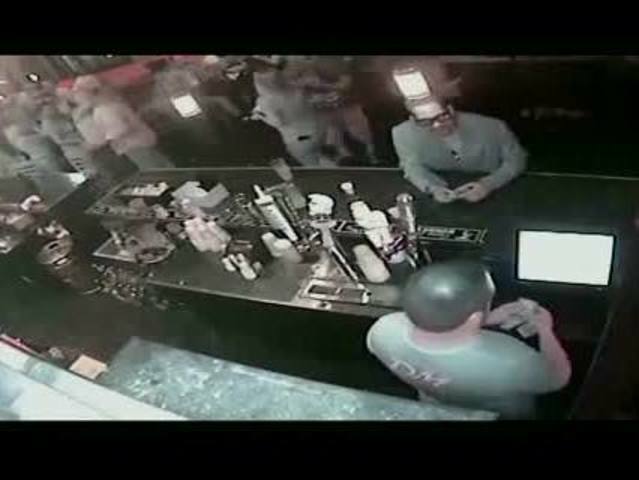 The officer then shoved Ramirez as he was escorted out of the bar. 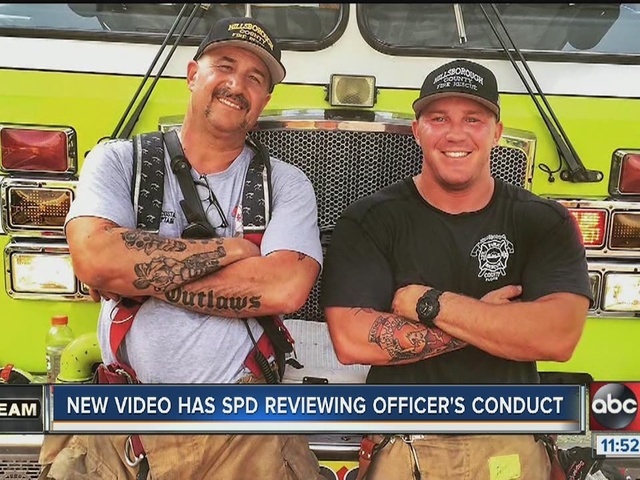 St Pete Police have sent the video to their Office of Professional Standards department for review. They say so far there has not been a complaint filed. Walker and Ramirez's case is still under investigation at the states attorney's office. See our original I-Team Investigation here .